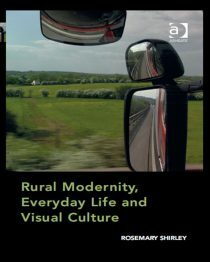 I’ve been invited to speak a seminar called Re-thinking the Rural, organised by In Certain Places at the University of Central Lancashire. I’m really interested to meet the other speakers and anyone else in the are who is interested in rural representations. Tickets are free do do book yourself a place. 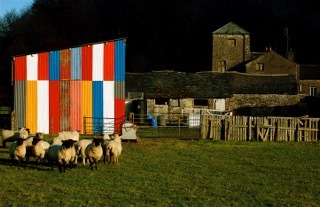 Re-thinking the Rural is a half-day seminar, which will bring together artists, geographers, historians and other people with an interest in the politics of landscape, to discuss cultural representations and perceptions of ‘the rural’. The event will include presentations of academic research, as well as examples of how artists have engaged with issues of land-ownership and the natural world within their practice. The afternoon will include time for discussion, with a view to creating new networks and informing In Certain Places’ future programme, which will address notions of the rural, as part of a wider focus on the ‘expanded city’. The seminar also precedes an upcoming exhibition at the Harris Museum & Art Gallery, which will explore artistic depictions of rural life. 13.40 Dr. Jonathan Westaway – Rituals of Extinction: Manhunting Games in the British Outdoor Movement, 1890-1914. It is very interesting to begin to discover artists, writers, bloggers who are ‘thinking’ about the rural landscape. I’ve just begun to question some of the issues which the rural landscape is revealing. I live in a small rural community of 200 dwellings, which is one reason for my current thinking about what and why these challenges exist and this is leading me on to enquire more about place and locality. If possible, I’d be interested to learn more about the work currently being undertaken by yourself and others in this field.